Looking for recipes using canned rhubarb? 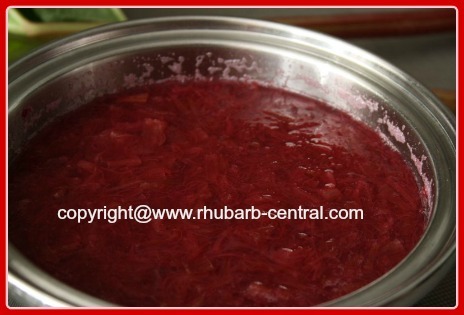 Or, do you wish to thicken your canned rhubarb to use as a topping? Perhaps you have a lot of jars of canned rhubarb on hand, and you are wondering what on earth to do with all your rhubarb preserves. Canned rhubarb makes a delectable topping for ice cream (so yummy! ), yogurt, pudding, cheesecake, pancakes, crepes, and waffles. Or, (and this is what I use a large amount of my rhubarb for) use the rhubarb as a side dish to ANY meal. 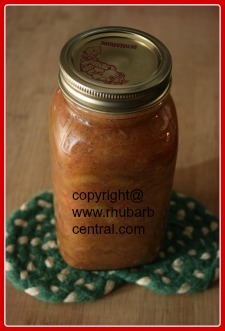 Instead of offering applesauce as a side to a dinner, I use stewed/canned rhubarb, and our family ♥ loves it. I have been using rhubarb as a side dish for over 25 years, and still no one is tired of it! 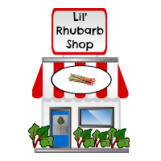 Rhubarb preserves also makes scrumptious rhubarb smoothies and rhubarb yogurt parfaits! Transfer the rhubarb from the jar(s) to a cooking pan. Slowly bring the rhubarb to a boil, stirring almost constantly to avoid sticking and burning. Immediately remove the rhubarb from the heat, and stir in the flavoured gelatin, stirring until all of the gelatin powder is dissolved. How much of the gelatin powder you use will depend on how much you wish to thicken the rhubarb and the quantity of rhubarb you are using. Allow the mixture to cool for about 15 minutes, and then refrigerate. This rhubarb sauce will keep in the refrigerator for up to one week. Use this rhubarb sauce as a side dish, or as a topping for ice cream, yogurt, cheesecake, pudding or pancakes. Or, make a special treat, a rhubarb smoothie or a rhubarb parfait and surprise someone today! 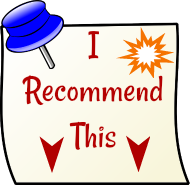 If you do not have home canned rhubarb, and cannot find canned rhubarb in your grocery store, you may wish to order it (or rhubarb pie filling) online at *Amazon.com. 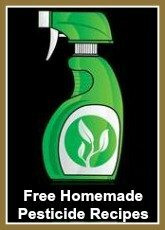 Click on the images below for more detailed product information, and be sure to read the customer product reviews.